This grower estate traces its history to 1768, when Antoine Paillard bought his first parcels of vines in the village of Bouzy. The modern company was founded by Pierre Paillard in 1946, who was joined by his son Benoît in 1973. 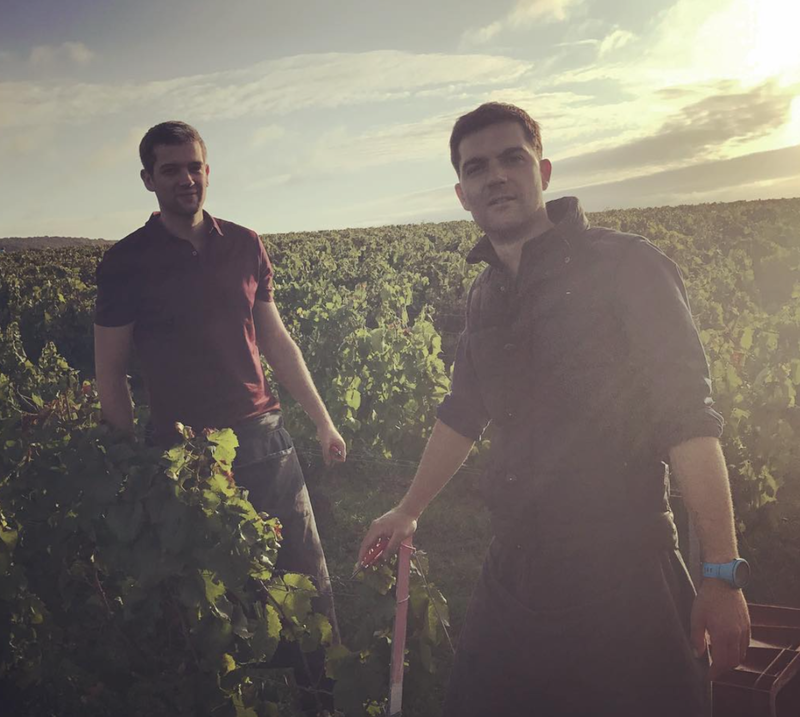 Today, Benoît is assisted by his sons Antoine and Quentin Paillard, who represent the eighth generation of their family to grow vines in Bouzy. Paillard’s vineyards are divided into 28 parcels comprising 11 hectares in total, all in Bouzy. Despite the strong identity of Bouzy as a pinot noir village, chardonnay accounts for no less than 40 percent of the Paillard holdings. “Our grandfather had already planted a high proportion of chardonnay,” says Antoine, “and we continue to do so. It brings freshness and liveliness to our wines.” The average age of the estate’s vineyards is about 29 years, with the oldest parcels dating from 1956. Viticulture here is heavily focused on sustainability, without any interest in being certified organic. The Paillards have used no fertilizers for the past 20 years, and all parcels have been planted with cover crops for the last ten to fifteen years. Any synthetic treatments, such as those used against mildew, are kept to an absolute minimum, used only when necessary, and each parcel is treated according to the specific needs of the soil and the site. In addition, all replanting is done with a sélection massale, taken from one of two specific parcels: Les Maillerettes for pinot noir and Les Mottelettes for chardonnay. Before replanting, the parcels are left fallow for a full two years, covered with vegetation to clean the soil and to produce natural material for fertilization. At the harvest, the grapes are picked with a high degree of ripeness, and none of the musts are chaptalized. The Paillards have owned a Coquard PAI press since 2008, and unusually, it’s 6,000 kilograms in size, rather than the standard Champenois measure of 4,000 kilograms: Antoine Paillard notes that with this size, you can press any volume between 3,000 and 6,000 kilograms, which provides extra flexibility. Most parcels are pressed and vinified separately, except for the smallest ones, and all wines undergo both primary fermentation and malolactic in stainless steel tanks. The wines remain on their lees until bottling, which takes place between April and July, depending on the conditions of the year. Afterwards, they age in bottle anywhere from three to ten years in the Paillards’ nineteenth-century cellars, which descend to 16 meters (52 feet) below ground.